Home>Music> YBN Almighty Jay To Blac Chyna: "Will You Marry Me?" It looks like YBN Almighty Jay might be thinking about taking the next step in his relationship with Blac Chyna. On Tuesday, the rapper decided to hop on Instagram and ask Chyna to marry him, while sharing a photo of her standing outside the gas station in the process. “Will You Marry Me?💍,” he shared as his caption (see below). While we hope he wasn't serious about asking her to really marry him via Instagram, it’s definitely an insight into his mind set & feelings for Chyna, which appear to be very real. Most people in his comments were skeptical of him wanting to ask her to be his wife. Some were saying she’s trash, while others believe he’s doing all this for a check, but majority weren’t with the decision either way. Of course, this isn’t confirmation of anything, but fans just venting & hating like usual. This post comes just a week after both Jay & Chyna were involved in an altercation at Six Flags, where their love was really tested after Chyna was seen trying to throw a stroller at a hater. Check out Jay’s marriage proposal (below) and let us know your thoughts. Do you think these two are just trolling or should they pull the trigger and tie the know? 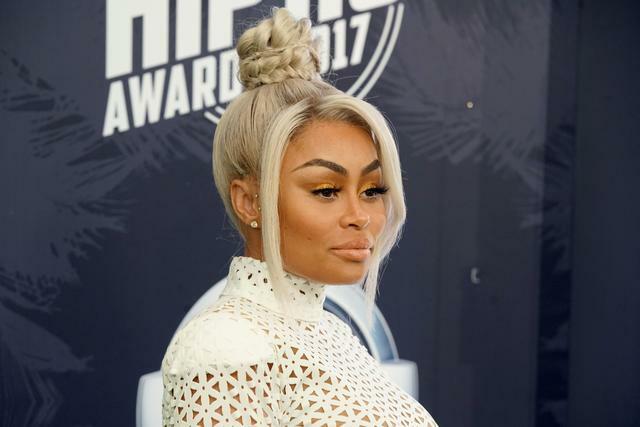 MUSIC YBN Almighty Jay To Blac Chyna: "Will You Marry Me?"